They're really pushing that City One Piece, huh? In January. Why would you ever pair a running skirt with a one piece? All I can think of is how uncomfortable it would be to have underwear ridding up while your running and the runners rash you'd have from that bottom. Are they trying to sell it as a swim suit & cover up? As a runner- I'll pass! I'm really liking the hit your stride skirt. This was not at my local store- anybody try this on? How similar is it to the fast cat skirt? 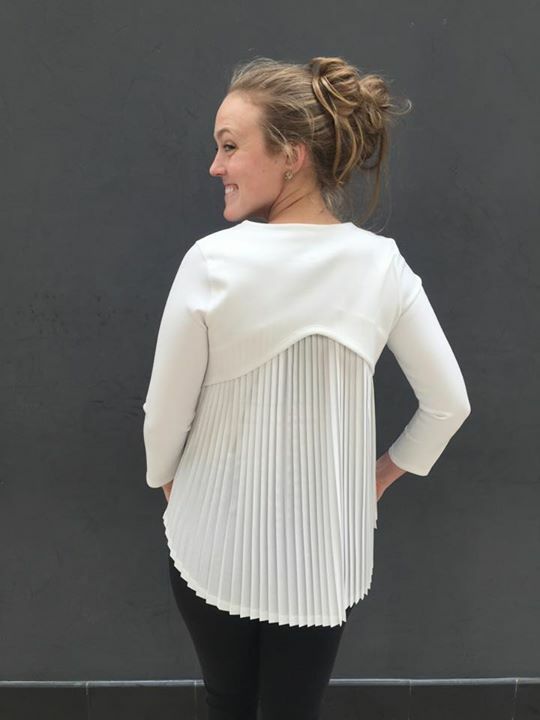 Am changing my mind of the Pleat LS. I agreed with LLA when it first came out re: fug, but I think I am going to give this a try. I am thinking its one of those pieces that will either look fug, or totally adorable on from person to person. What fabric is the City One Piece? Can it be worn as a swim suit? Bellevue Square store did not have the skirt yesterday when I went. I was kind of disappointed, would have liked to try it on. I hate that some things never make it to the stores, and then I order stuff online and have to go to the store anyways to return it. Bleh! Someone needs to explain to me the utility of the City One piece. I don't understand when or why anyone would need or want to work out/do yoga in a one piece leotard that does not function as swimwear. I think it's for dancers and hot yoga, but not sure. luxtreme. I wouldn't wear in chlorine. The skirt is pretty nice. I got the same size as my pace setters 4, I think the waist may be a little more forgiving than the pace setter. I think it is a really nice piece and I love that it's reflective. I am petite 5"-3" 118 to 120lbs narrow hips. 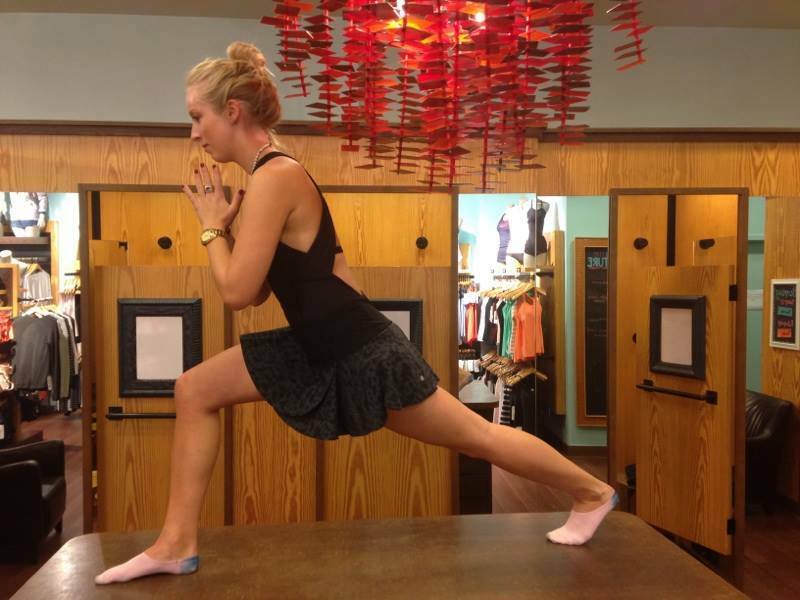 I would be scared to do hot yoga in that one piece, unless the lights were really dim. That city one piece is a hoo-haa exposure waiting to happen in yoga class. Sheesh. I can't believe they designed something so ridiculous. I see the picture of the forward fold trousers. In the store we can't seem to clip it like the first photo under the pleat on ls photo. Is it a real clip from the pants to get it folded so narrow or did she tuck one leg to look like that. @ anon 3:26 pm - I think she must have tucked the ends underneath to make it neater. It definitely doesn't look like that when you use the snaps.